I originally volunteered with the Trust in the spring of 2010 as part of an Alternative Spring Break trip with Northeastern University. It was beyond memorable and prompted me to minor in Environmental Science. After quiting my job and embarking on a cross-country road trip this spring, my first instinct was to volunteer with the Trust again. The SEGA volunteer trip was particularly interesting, because it offered an opportunity to participate in solution-based, rather than problem-based research. I learned so much and the people were incredible—I left with a renewed connection to the environment. 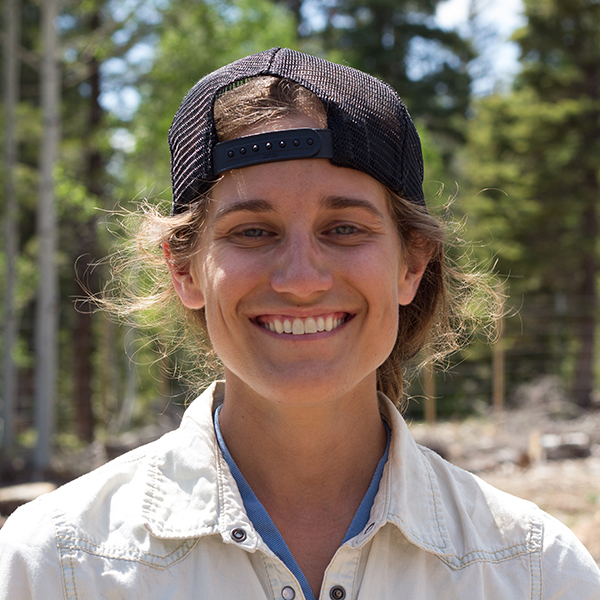 The Trust has been a positive catalyst of change not only for the Colorado Plateau, but also in my own life. I’ve only been on two, and it’s hard to pick! What I loved about both trips is how tangible the work was -- whether it was removing tamarisk, repairing fences, or shoveling trenches. With the SEGA project, it was neat being a part of the research process and getting a glimpse into the diversity of work the Trust is involved with on the plateau. I have to say, the setting at Kane Ranch is spectacular, and I loved seeing the diversity of the Colorado Plateau from Mangum Camp. My most memorable moments were camping at Kane Ranch in March 2010, freezing cold, then waking up each morning to the most glorious sunrises against the backdrop of House Rock Valley. 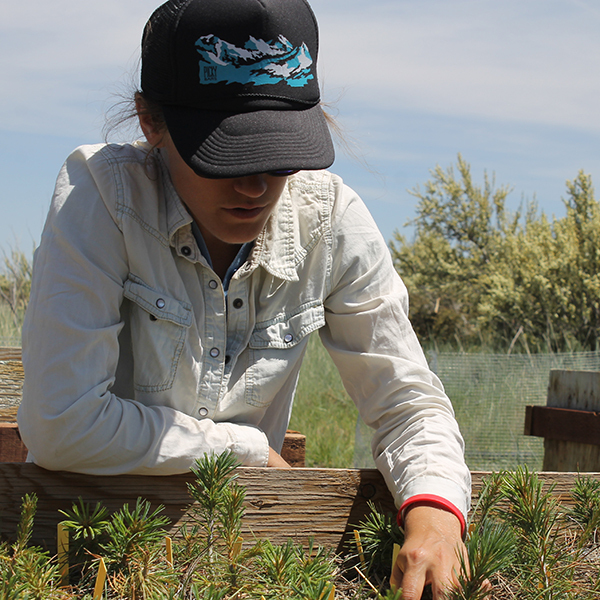 Liz Blair measures southwest white pine seedlings at a SEGA garden on the Kaibab Plateau.